What would you consider an American hero? Take a minute to look at it, to study it and the emotion you feel. When Platon displayed this photo to the 5,000 attendee conference, there was a wave of emotion, of intense pathos. He hadn’t told us the story yet, but immediately everyone was crying. 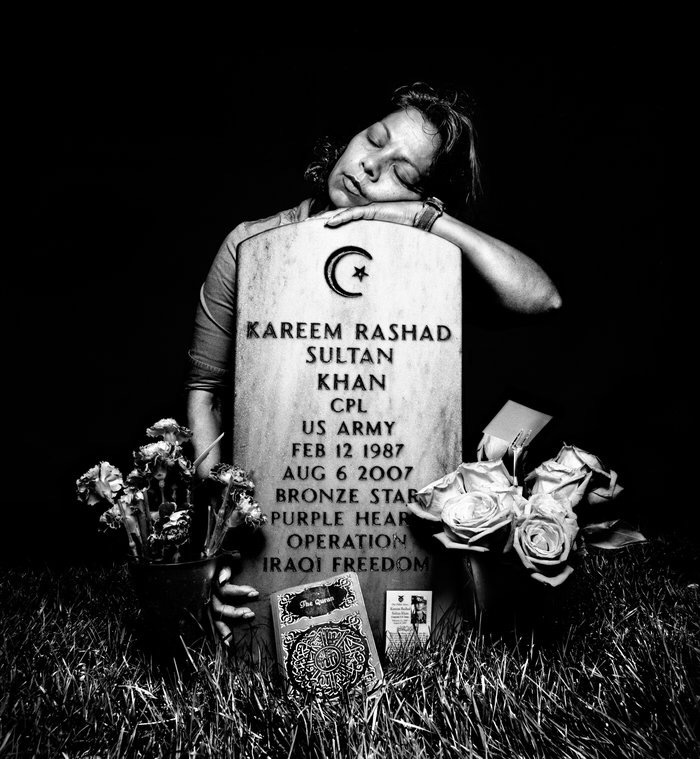 Most of the room didn’t realize until Platon told us that the book the woman was leaving at the base of the grave was the Quran, and that the woman’s son was a Muslim a US war vet and casualty. According to Platon, he took this photo and published it at the beginning of President Obama’s initial campaign, but it seems all too timely for today. In my last blog post, I discussed the divided state of our country following 2016, and I’ll continue that discussion now. There’s somewhat of an attack on religion right now — not just on Muslims, not just on Christians, but on both, and many other beliefs. I’ve personally heard rhetoric about how Muslims are un-American or somehow have a lesser right to this country than the rest of us, and I’ve heard those same people — I’ll leave them unnamed — marginalizing and stereotyping Christians as an unaccepting hate group. 1. The same right that gives me the ability to practice my Christian faith freely gives those of the Muslim faith the right to practice theirs. Some Christians are unnaccepting, even hateful, but not most. Some Muslims are extremist, but not most. 2. As Platon’s image shows, at the base of it all — behind the titles, beliefs, labels, ideals, clothes, jobs, public profiles, and personas — we’re simply human. That does not mean you have to agree with what someone believes, but don’t assume that you have more of a right to faith or to this country than anyone else. Respecting, loving, and including doesn’t mean agreeing, but it’s the right thing to do. Also: I got to meet Jamie Hyneman from Mythbusters this week! Don’t forget to like, comment, share, and subscribe!